The addition of Parallels 2X support has been added to Raspberry Pi, making the credit card sized computer even more attractive to enterprise users. The update to Parallels' 2X Remote Application Server (RAS) means that businesses can run full Windows remote desktops and virtualised applications safely at a level sufficient for the demands of enterprises. "The Parallels 2X team adapted its well-known client for Linux to maximise performance and user experience for Raspberry Pi," explained Parallels 2X marketing director Giorgio Bonuccelli. Bringing this functionality to the Raspberry Pi makes it more relevant for the enterprise sector. The Windows client management that is part of Parallels 2X lets IT administrators control Windows devices, set passwords and shows PCs to give remote assistance. Raspberry Pi joins a plethora of other devices supported by Parallels 2X that includes Chromebooks, Windows PCs, Macs, Linux workstations, Android, iOS, Windows Phone, and HTML5 browsers. Parallels plans to show off a Raspberry Pi with Parallels 2X RAS on board during the Microsoft Ignite conference next week. 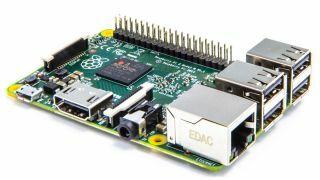 Over five million units of the Raspberry Pi have been shipped since its launch in 2012, and it is just as popular among consumers as it is in the education and enterprise sectors.